How I cut carbon with Negawatts, ISAs, SIPPs and Start-ups. How best to put time and effort into a greener low-carbon future? From Banking to Green: Becoming an Energy Efficiency Nerd! Legal disclaimer: I am not authorised to give finanical advice. You must not regard anything said here as finanical advice. In particular it is not personal advice. Each person's circumstances are different. Also be aware that I'm quite a risk-taker by many measures. (Though I see myself as quite careful in most of the risks that I do take!) If you are risk averse then you may almost want to do the opposite of what I do. What's the secret to stashing away all my millions and saving the planet? The secret is that I haven't done either, at least not yet! I've never wanted to live irresponsibly*. I've never been fascinated by fast cars and bling. Though I have enjoyed lots of travel, eg by plane. Maybe I've had it easier than most, but it's long been evident to me that the cheapest and easiers carbon saved is from energy not used, or "negawatts". Just like anyone else with children, I want them to grow up in a gentle world. Not one riven by weird climate, panicked mass migrations and so on. All of these are my family cutting its own consumption directly. Not spending money on indulgences or offsets for someone else to do the work. I reckon that we are saving tonnes of CO2 every year, directly. And we live carefully, in a small house. More stuff doesn't make us happy. Less spending leaves my time and resources to put into my energy-saving business as mentioned before. I'm also a member of Transition Town Kingston. TTK tries to help our own local area live more sustainably. We're far from all being yoghurt-knitting, soft-in-the-head idealists. So all of this 'green' activity has been very much "think local, act global". Attempting to cut CO2 emissions and global climate change at my doorstep. No preaching, no making other people do things. Fewer hot baths, less stuff. All of the above is worthy, but doesn't deal with the pile of gold. I've never paid myself extravagantly, and have saved as hard as I could out of that. But when money has come in, eg from share sales in a previous start-up, or the death of a relative, what have I done? I've not blown it on a fancy car or holiday, or a bigger house. I've paid down debt, including clearing the mortgage. I've also invested in insulation and other upgrades for the house, such as solar PV. These then help ensure that future energy bills are not a worry. In fact, gas and electricity bills and carbon are covered by FiT payments from the solar. Beyond putting time and money in my own companies, now that I finally have a cash not needed day to day, what will I do with it? I have money in UK tax-free (or at least tax-friendly) Individual Savings Accounts (ISAs) and Self-invested personal pensions (SIPPs). Much of those follow conventional wisdom about spreading investments across countries and sectors, and aiming to hold investments for a few years. Because holding shares directly was a pain when I worked in the City (the paperwork, the paperwork!) I am almost entirely invested in funds. Funds help spread risk at the cost of paying someone to manage them. Given that I don't dislike risk, when it's carefully understood, most of my ISA and SIPP money is stocks and shares, not cash. In ISAs at the moment I have lots of equity income funds, and in SIPPs more growth funds. Equity income, which can pay a return even now of 3% to 4% or more, after all costs, does tend to have money in companies that pay good dividends, such as oil and tobacco. I have more problem with the oil, but for the moment we continue to need it, and all the companies that I have indirect interests in appear to be the better behaved ones. I have a chunk of money in explicitly 'ethical' funds, but no two people's ideas of ethical will ever match exactly. And they aren't explicitly 'green' and low carbon. I have tried to invest in directly green and low carbon funds in the past. It wasn't a success. Two much regulatory flapping around by governments. Probably also too much deliberate sabotage by 'deniers'. But the market is maturing. Green is mainstream. The CEO of an oil major says his next car will be electric, and car companies are building business models that incorporate home solar PV. Time to try again. Two companies that I've been watching for a while are Abundance and Ethex. By law you are only allowed to put new money in at most one of each type of ISA each year. Abundance offers amongst other things an "Innovative Finance ISA", which means I could put some in it, and some in an more conventional stocks and shares ISA to spread risk. At least, that is my understanding. It's bad to make an investment just for the tax perks, so what can be invested in the Abundance wrapper? I don't think I can see everything yet, such as their "marketplace", before completing sign-up. But there are categories such as green energy and energy efficiency. And individual projects within those look good. Maybe there is a way of helping people get going finding them via a low-carbon accelerator like the one that helped me. Play it forward! Ethex's main ISA offering seems to be the "Triodos Sustainable Pioneer Fund". This seems rather expensive in entry and annual fees at first glance. It is currently early in the new tax year, so there is no rush. I will update here if I do use Abundance or Ethex or the like, for ISA or SIPP. * Well, other than mild student hijinks, excess beer drinking, and the like. Update 2018/04/25: signed up to Abundance. I can currently see one (interesting) open offer. The minimum investment for it is way too large for me. 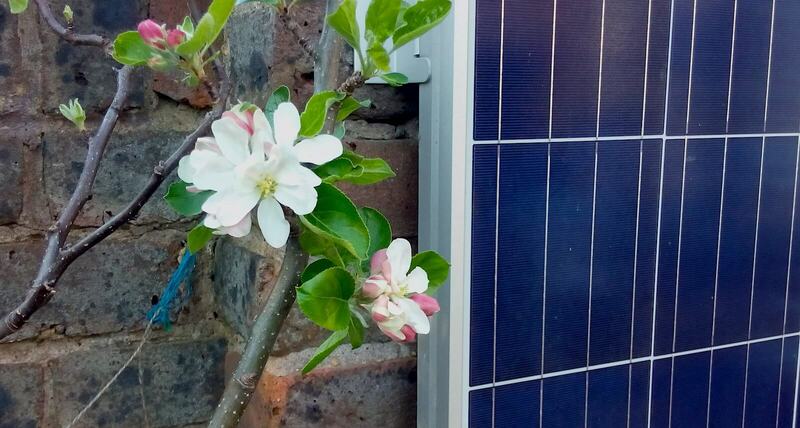 Update 2019/03/02: I still hadn't had time to get to grips with Abundance, so invested some cash in my and other green projects, and an ordinary ISA and SIPP (including a little in an 'ethical' fund). 2019/02: Market Expectations About Climate Change: "Nonparametric estimates suggest that trends in weather markets follow climate model predictions and are not based on shorter-term variation in observed weather station data. When money is at stake, agents are accurately anticipating warming trends in line with the scientific consensus of climate models." 2018/04/02: How the World's Largest Pension Invests in ESG (Environmental Social and Governance). The Negawatt Revolution - Rocky Mountain Institute [PDF]. negawatt: "A negawatt is a negative megawatt: a megawatt of power saved by increasing efficiency or reducing consumption." Granola-eating tree hugger' takes plunge, becomes IoT upstart. When geeks turn Green: Performance tune your energy bills. My home is bugged ... with temp sensors to save me cash. Abundance " ... was launched in 2012 with a mission to allow members of the public to invest in things they truly care about." Ethex: "Helping investors to make positive investments simply and securely." First published 2018-04-15 , updated 2019-04-17 , rebuilt 2019-04-19 . Site copyright © 2007-2019 Damon Hart-Davis. Hosted by ExNet.